Christmas movies are the ultimate way of getting into the holiday spirit. They usually consist of a 90 minute encapsulation of the holiday season and can be the spark to suddenly make some cold month into a weird time where everyone seems much friendlier. Outside of my brother, who I live with, I don't see any of my family at Christmas-time which means I have to get into the Christmas spirit without a key element. But thankfully I have a pretty hefty movie collection to cover all the basics from childhood and bring a little nostalgia with me. You may notice some big name films being excluded and my answer is simple: it simply didn't affect my life. I know that It's A Wonderful Life is a great movie but I don't really feel lost if I'm not able to watch it one year. In fact, this year is the first year in several that I've even watched that film. 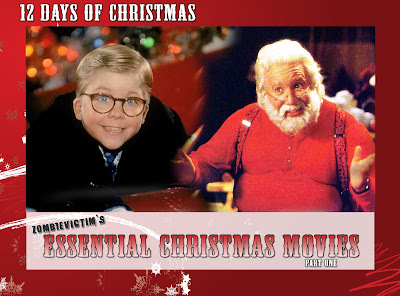 So here are some movies that I always considered essentials for this time of the year. 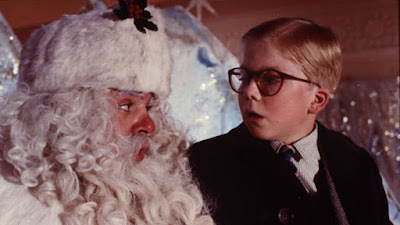 If I lost a bet to Satan and he said "You're only allowed to have one Christmas movie for the rest of your life" the answer would be so obvious, I wouldn't even let Satan finish talking before I told him/her "A Christmas Story." Nothing epitomizes the holiday through celluloid better than Bob Clark's 1983 classic. It amazes me that this is the same person that also made Black Christmas. Some people have gotten sick of TBS' all day Christmas Eve into Christmas marathon but I'm not one of them. Every time I see it, I get such a kick out whatever part happens to be on. It's great background noise for Christmas morning. but dropped from the final cut. I love that the main message in this movie seems to be that "Things will work out in the end" except that the only reason we get a happy ending is because Cousin Eddie decides to kidnap Clark's boss who then decides to not be a Grinch and doesn't press charges, which he totally could have done and still been in the right, morally. It's just a really strange message to send but that's what is so great about this movie. It's an off-kilter comedy that has somehow withstood the test of time and lasted longer than any of the other films in the series. 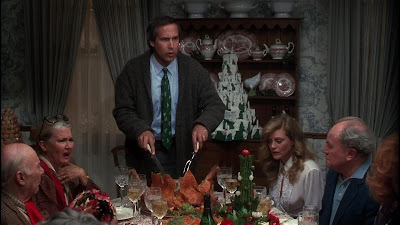 Plus, it does the impossible and makes Chevy Chase likable. the Murtaugh's in all of the "Lethal Weapon" films. Tim Allen will always be two things to me: Buzz Lightyear and Santa Claus. No, I don't get down with any Tim "The Toolman" Taylor nonsense. That show never sat right with me. 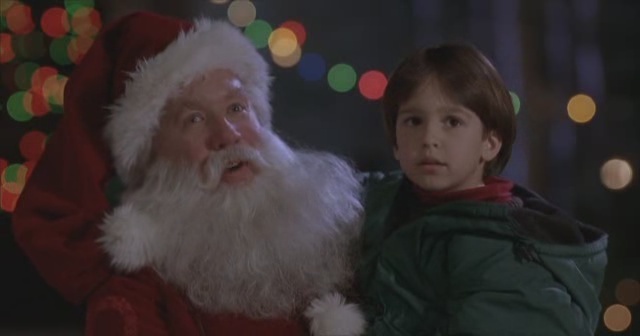 But Allen as Scott Calvin always got me in the Christmas spirit, particularly the first half which is really where the strength of the film lies. I know that most people like to pretend that the series ends at the first but we actually got two sequels (but we'll get into that later). The thing that really puts this movie above those is the lower budget, and less CGI spectacle that it becomes later on. Here, it's just a simple Christmas story. Fun Fact: Notably, a Scott Calvin line about "call 1-800-SPANKME"
was removed from all cuts of the film after parent complaints. I still vividly remember this line and is on the VHS release. I have many fond memories of watching this DVD on repeat one Christmas break. I had received it as a gift (along with Jurassic Park 3) and had a pretty steady binge of the films back to back. I also drank a lot of hot tea that, looking back on it, were mostly 90% sugar. That mental image pops into my head every time I watch this movie. Not the intense pain I was in when I saw the film in theaters over Thanksgiving weekend and was suffering from some terrible stomach illness. I think of the purple, cracking glass that I drank sugary hot tea out of while I watched Jim Carrey completely encapsulate a character I always thought of The Grinch to be, but wasn't represented as such in the 60's cartoon. 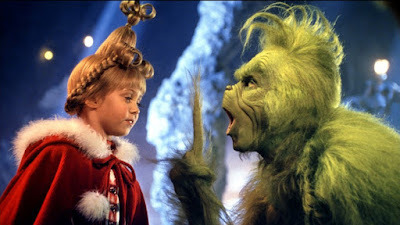 I think that this is also the movie that's most quoted around Christmas time in my family. From "Holidaywhobewhatee?" to "You're an idiot! ", these have become as expected in my family as "Merry Christmas." It's amazing that they never tried to do anything more with the character, given Hollywood's obsession with sequels, and I couldn't be happier that this has been a one and done venture. I think that The Cat in the Hat proved that. techniques since the Grinch costume was so uncomfortable.